Ronaldinho was born on March 21, 1980 at Porto Alegre, Rio Grande do Sul. His father was a former footballer who worked in the shipyard dock. Football was in his family, as his elder brother Roberto was a very good footballer himself. His elder brother was selected to the football club Gremio at a young age but had to put an end to his promising career because of a serious injury. Ronaldinho was inspired by his brother and began taking football seriously at the age of 7 itself. He started off by participating in the local beach football and futsal matches regularly. 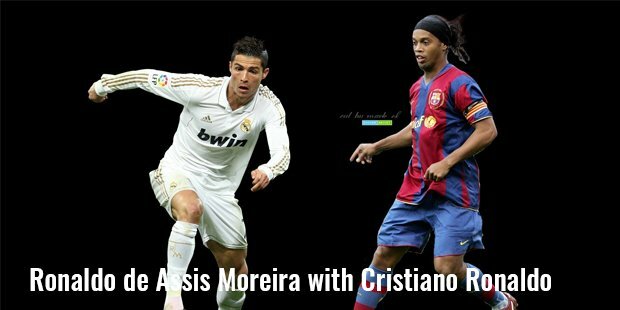 He was soon part of the Brazilian U-17 World Cup team where he impressed by scoring two stunning goals of penalty kicks. This helped him get selected for the Gremio youth squad in 1997. The very next year he was given the chance to make his senior debut against Copa Libertadores. He soon became an integral member of the team and was their star striker till he was transferred to Paris Saint-Germain in 2001 for €5 million. In the beginning, he faced difficulty playing for such a big team at such a young age. But within a few games, he began scoring freely against top sides like Monaco, Lorient and Rennes. 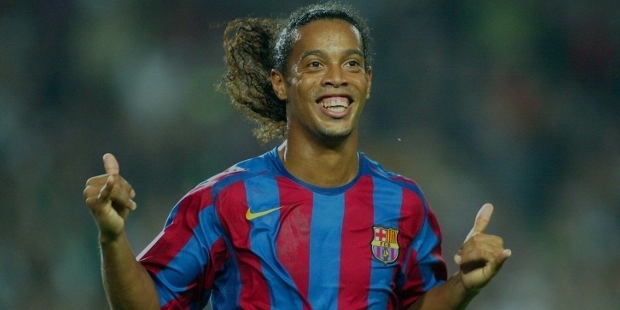 In the 2002-03 season, Ronaldinho could not match his previous year’s performance but was still good enough to stand out as one of the best players of the France League 1. The Paris Saint-Germain team could not qualify for any of the major tournaments it participated in, inspite of Ronaldinho scoring 12 goals in 38 matches. This led him to be transferred to the Barcelona FC in 2003-04 for an estimated €30 million. Barcelona FC saw the immense potential in this successful striker. In the first season itself he helped his side come 2nd in the league by scoring 22 goals and giving 14 assists. In 2006, he was part of the Barcelona team that won the UEFA Champions League by beating Arsenal 2-1. That season he was awarded the ‘Champions League Player of the Year’ for his career best performance of 26 goals in all competitions. In 2008, he was transferred to Italian Serie A team Milan for €22 million for 3 years. Ronaldinho has also played an important role in making his national team Brazil into the superpower that it is today. He made his debut for the Brazilian senior side in 1999 and has scored 33 goals in the 97 matches he has played for his team till 2013. He was the integral part of the 2002 World Cup winning team along with Ronaldo and Rivaldo to help Brazil win its 5th World Cup title. He has been a media favorite all along his career. He has been famous for his football tricks on and off the field, which has increased his popularity and brand image throughout the world. He has estimated wealth in excess of $125 million, coming from advertising and his illustrious football career. He is considered to one of the best strikers in 21st century football history.